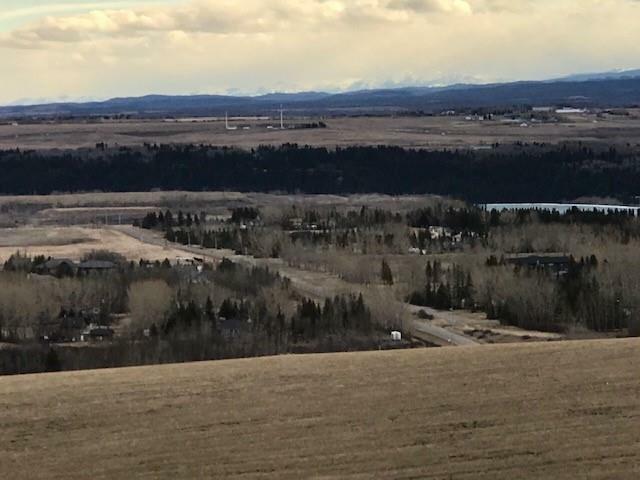 Boasting what could probably be the Highest Peak with Majestic and almost 360 degree views, just outside the Calgary boundary, this home will satisfy the most discerning buyer. The finest architectural plan for a contemporary home like no other almost in the entire city. Boasting almost 40 feet of a South wall. North facing home to enjoy and take in Long Endearing Sunsets over the Grand Downtown, COP, Flowing Bow River and never ending picturesque views of the mountains, the river valley and the city. Ideal sized 1.6 acres yet just a few minutes away from everything. Almost nothing in the area Compares to this lot, Bearspaw living delight. Please note home not livable and is already on its way to demolition. All utilities shut, home sold as is and is lot value only. With all plans ready, (in Supplements) this home will surpass all expectations. Bearspaw school to walk to, a Multi million dollar turnaround happening in the area. Come live here and Celebrate LIFE!!! please see additional remarks also.